Have you considered becoming a real estate agent? It’s important to know that to practice real estate, you must first be licensed in your state. But, once you are licensed to practice real estate, you can take on clients, show listings, negotiate pricing, and help people find their dream homes, all while making your own work schedules! So how do you become a licensed real estate agent? Its not easy to be a top real estate agent. So what is the fist step in getting licensed? Well, the answer might vary depending on what state (or country) you may live in. Every state requires you to have a real estate license, but each state has their own licensing process and their rules and requirements might be different than the next state’s. 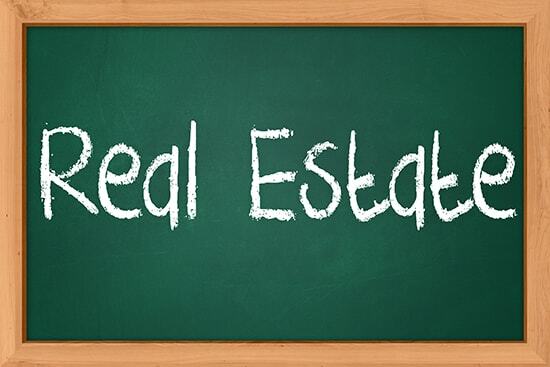 To get started, one of the most important choices you will make is which real estate school you will choose. Will you want online real estate classes or live, in person training? What is the schools pass/fail rate for the real estate exam? Do they have public videos that can assist with some of the more challenges such as real estate math? Don’t underestimate the value that a good real estate school can bring, which makes choosing the right school extremely important. There are many different laws and terms for real estate agents to know and before you get your real estate license you must take a certain number of hours of education. It’s important that you take your real estate education seriously, as an estimated 87% of new agents fail within their first five years. These pre-licensing courses (so long as it’s in a certified and reputable institution) will prepare you to pass your licensing exam, and of course to become a successful agent! Choosing the best real estate school is important. Some have substantially better “pass rates” than others. Some offer online real estate courses, while some are just live, in class. How long have they been in business? What is the success rate of new real estate agents that get their licenses from there? Asking the right questions up front can save you a lot of time. You’ll want to schedule your exam not too long after you take your courses, so as not to forget anything you’ve learned! You may also consider taking a state licensing prep-course, which will focus directly on the types of questions you’ll be asked on the exam. Each exam is going to have some general, nation-wide information and then go into some more state-specific questions. The real estate licensing exam is designed to test your knowledge of the practices, policies, and terminology of the real estate world. This is to ensure all licensed professionals enter the business on an equal platform of basic industry knowledge. Some states will require you to take post licensing education requirements, prior to your first renewal of your license. You may even be in a probationary period before you can be considered fully licensed. It is important to check your state’s requirements. So you’ve passed the exam and you’re now a licensed real estate agent! After you’ve been practicing real estate for a while, you ought to consider (and may even be required to by your state) taking continuing education on real estate. Laws and regulations are always changing, and it’s important to stay up to date so that you can provide the best product to your customers. What Makes a Good Real Estate School?